1840 Liberty Seated dollars are the first coins in a series of silver dollars that was designed by noted United States Mint engraver Christian Gobrecht. Seated Liberty silver dollars were issued by the Philadelphia, New Orleans, Carson City, and San Francisco Mints from 1840 through 1873 and saw widespread use in the United States particularly during the 1840s and 1850s. By the end of the 1850s the silver value of these coins increased as bullion prices soared, and Seated Liberty dollars soon saw the bulk of their use in foreign trade. This, in part, gave rise to the creation of the United States Trade silver dollar in 1873. 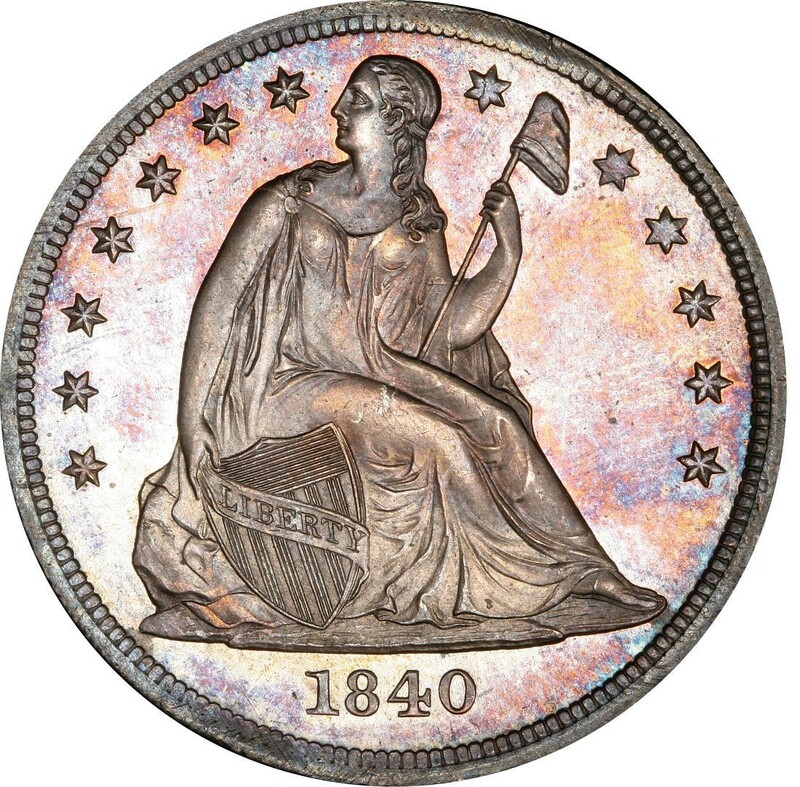 The 1840 Liberty Seated dollar was struck only at the Philadelphia Mint, where 61,005 pieces were made. The typical value of these pieces ranging from $350 in a grade of Very Good-8 up to more than $4,500 for uncirculated specimens. Proof specimens trade for around $30,000. 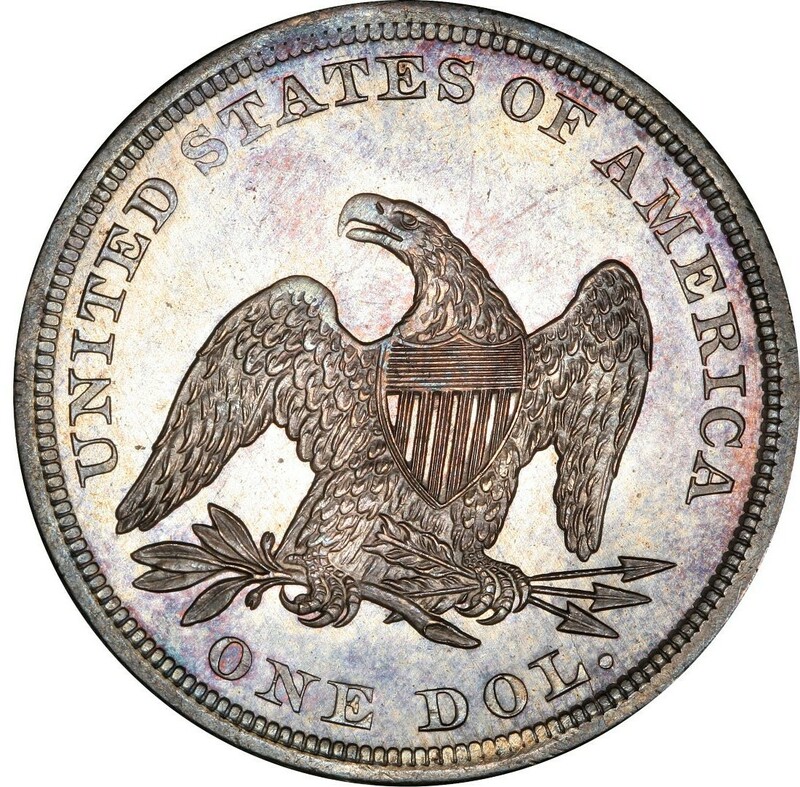 It should be noted that all Liberty Seated silver dollars are scarce, and are most especially so in the context of the relatively few problem-free specimens that have not been cleaned and exhibit no significant signs of damage. 1840 Liberty Seated dollars are made from a composition consisting of 90 percent silver and 10 percent copper. The coins weigh 26.73 grams and contain 0.77344 ounces of pure silver. These silver dollars measure 38.1 millimeters in diameter, which still serves as the standard width of United States silver dollars. 1840 SEATED LIBERTY DOLLAR NGC XF 40 >>>SUPER FAST FREE SHIPPING!! !